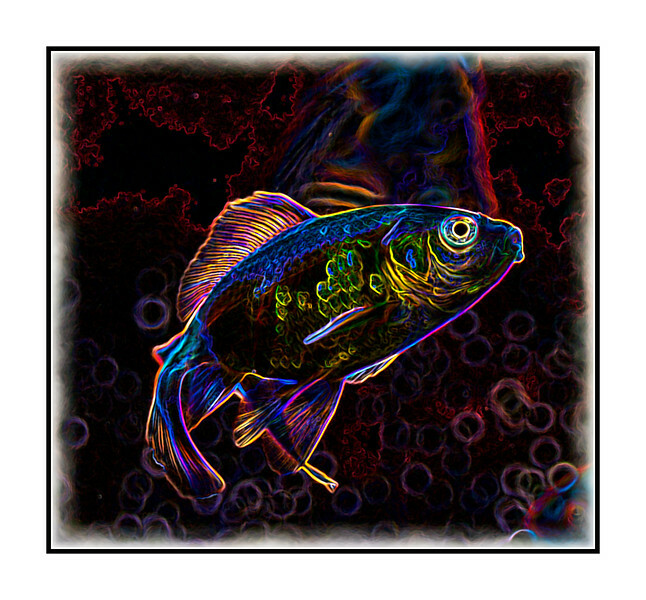 Psychedelic Fish - shot a while ago. I always intended to use it as a daily and then forgot about it. Decided to resurrect it for today's daily. Thanks for all the comments on my little girl and her mom at the Cherry Creek Art Festival. I sure enjoyed all the great smug shots today. There were some fabulous ones, as always. So much talent here! You are really doing some amazing post-processing. Keep up the good work! Very cool. The effect works very well with the fish. This one really pops Judy.